This work was conducted for Caledonia Best and was designed to be used as a promoted Facebook advertisement. 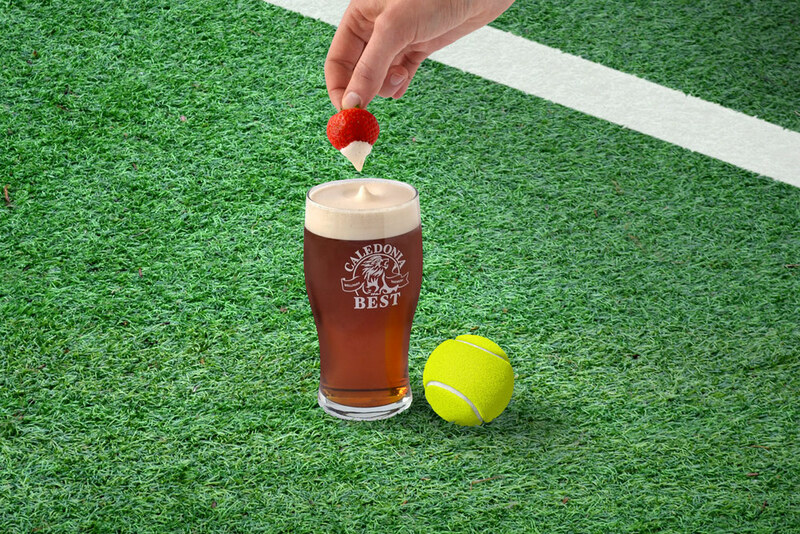 The initial concept was to link in with the social media chatter around Wimbledon, by using the beers creaminess as a play on the traditional strawberries and cream dish served at the tournament. I created a small studio to shoot the composition. I then added in a grass texture I had photographed earlier and added in the tram lines to give it a tennis court feel. The typography was used to compliment other Caledonia Best social media posts and conformed to the Facebook 20% rule regarding text in promoted posts.